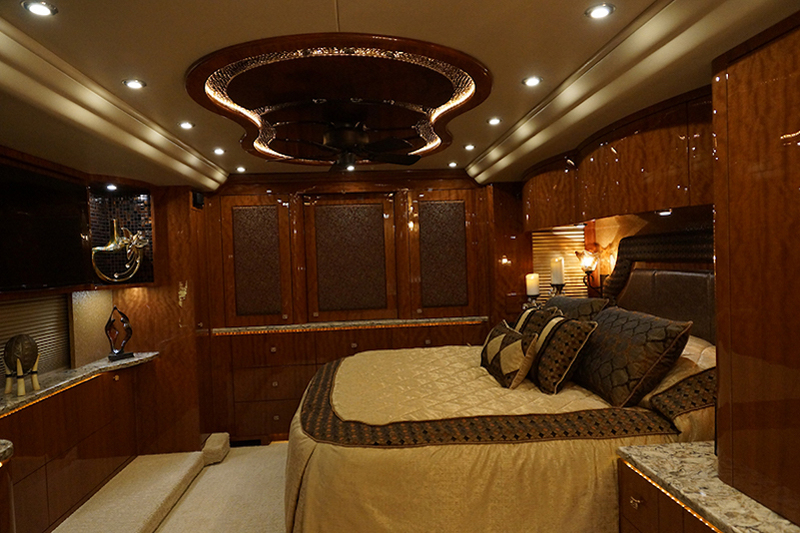 Modern Sophistication Meets Traditional Luxury In This Gorgeous 2016 Millennium. 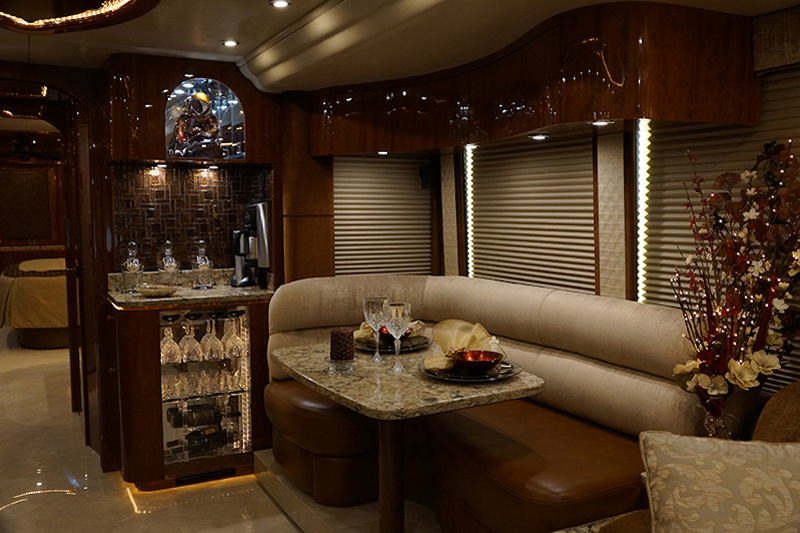 From The Rich, Earthy Exterior Accented With A White Pearl Dot Matrix Pattern To The Warm, Inviting Interior, This Coach Is The Perfect Home On The Road. 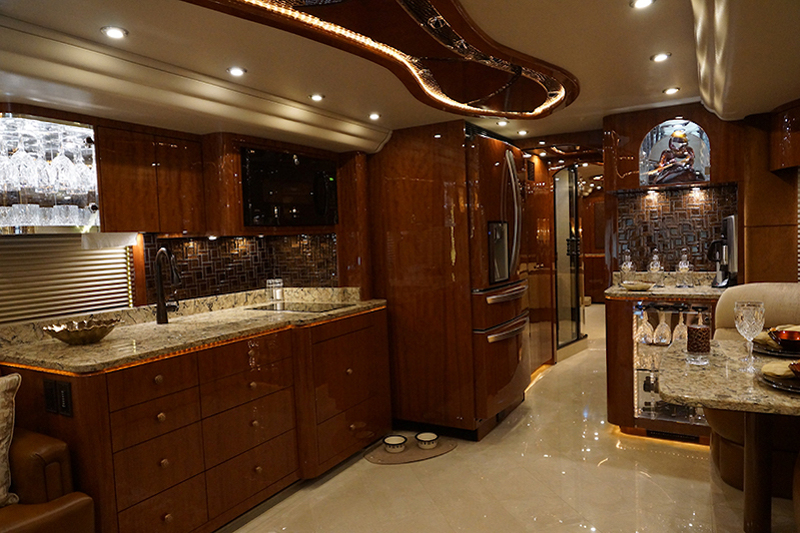 Rich Makore Wood Veneered Cabinets With Quartz Counter Tops, Heated Porcelain Tile Floors, And So Many Designer Touches Make You Want To Come In, Sit Down And Stay A While. This Coach Is More Than Just Visually Appealing. 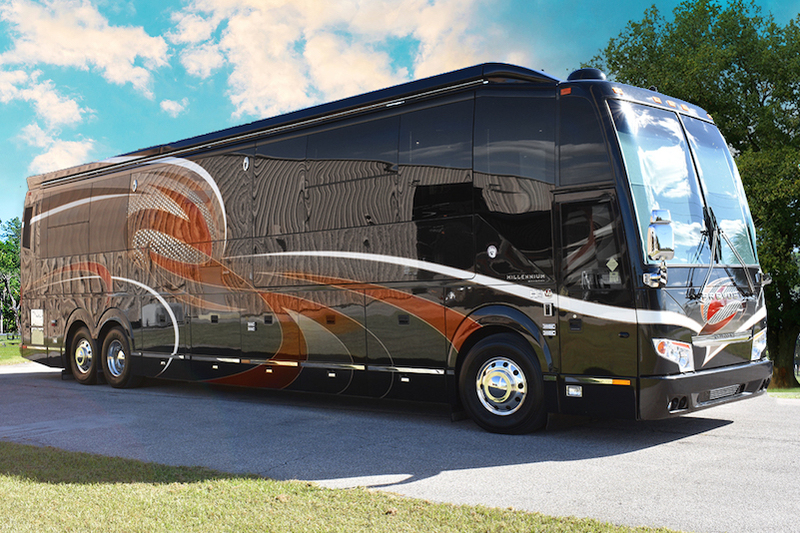 It Is Equipped With Savant Systems And Lutron Homeworks, Allowing You To Control The Many Functions Of The Coach With The Touch Of A Virtual Button On One Of The Ipads On Board. Smart And Beautiful, What More Do You Want?